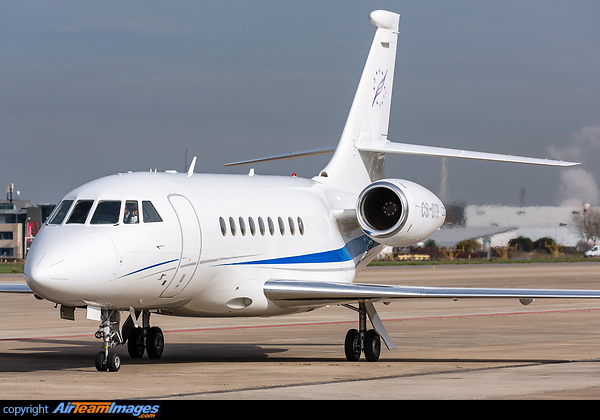 The Falcon 2000 is a wide body mid size, medium range twin engined business jet, derived from the Falcon 900. It has been developed into a family of gradually more capable versions, the current versions are the 2000EX Easy and the shorter range DX. 2 x Pratt & Whitney Canada PW300 Series (4500 - 8000 lbf) turbofan engines. The 2000DX is powered by the PW307C rated at 7000lb thrust. Early versions of the Falcon 2000 were powered by the GE CFE738-11B.